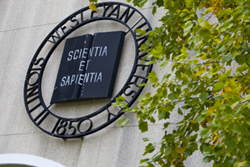 Founded in 1850, Illinois Wesleyan is a highly selective liberal arts university with an enrollment of just over 2,000 undergraduates from 34 states and 22 countries. Academics: Illinois Wesleyan’s distinctive liberal arts curriculum is at the core of our 50 majors and programs. Courses of study range from the humanities, languages and sciences to programs in business and economics, the fine arts and nursing. The University also offers a wide range of pre-professional and interdisciplinary programs. With average class sizes of 17 and an 11 to 1 student-faculty ratio, students at Illinois Wesleyan get the personal attention from faculty that is often missing at large universities. Campus: The University’s residential campus covers 80 tree-filled acres and has 35 buildings, including 24 living options. 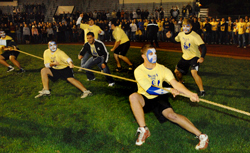 Co-curricular programming is diverse, with 165 student organizations and groups and 18 Titan varsity teams for men and women. Outcomes: Student satisfaction and success are reflected in a 93 percent freshmen retention rate and the fact that better than 9 in 10 graduating seniors complete their degree in four years. Strategic Initiatives: As part of the University’s strategic planning and visioning approved by the Board of Trustees in 2006, a number of strategic initiatives have become campus priorities, including community engagement,diversity, environmental sustainability, globalization and social justice. Location: Illinois Wesleyan is located in the central Illinois twin cities of Bloomington-Normal, a community of 110,000 located about two hours south of Chicago and north of St. Louis. Illinois Wesleyan University is a highly selective liberal arts university that fosters a community where students can freely pursue their multiple passions, both in and out of the classroom. Through intimate contact with faculty and heavy involvement in extracurricular activities, Illinois Wesleyan students develop into scholars, artists, leaders and citizens that impact the world in a very positive way. Why Wesleyan? from IWU Video on Vimeo. 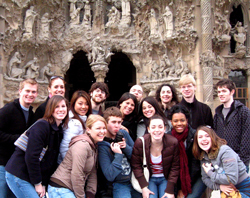 Whether you’re into Shakespeare, Einstein, Mozart, Cezanne, Margaret Mead, Florence Nightingale or Dow Jones, Illinois Wesleyan’s unique liberal arts curriculum allows you to pursue multiple passions and interests. We truly believe that learning is optimized when it stirs one’s emotions and stretches one’s boundaries. With our focus on academic excellence and small class sizes, Illinois Wesleyan attracts faculty who value the student-faculty relationship as an important element of undergraduate education. 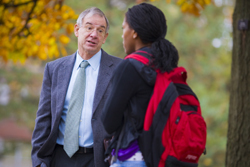 Unlike most large universities, professors – not graduate students – will teach you. And cheer you on at your extra-curricular events! At Illinois Wesleyan we believe that your education should be more than memorizing facts and figures. Our goal is for you to learn to think critically and creatively, enabling you to better use the knowledge you gain for success in your life. We want you to leave us fully educated not just narrowly trained, so that you’ll be able to meet the challenges of a constantly changing world. 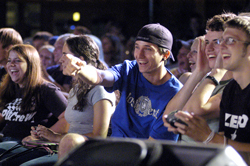 Whether you are interested in social life, community service,environmental sustainability, intramural sports, political activism, or spiritual development, you will find plenty of options, opportunities and encouragement at Illinois Wesleyan that will enhance your education and personal growth. Preparing graduates for life in an increasingly interdependent global community is a key part of every Illinois Wesleyan education. One in two of our graduates will study abroad during their four years at the University, and all students on campus have the opportunity to interact with classmates and faculty who come to us from Europe, Asia, Africa and Latin America. Currently, our alumni can be found in 52 countries around the world. Our faculty are committed scholars who frequently involve students in their research, and support students in their own projects. Students have the opportunity to explore ideas from a wide variety of subjects through close contact with faculty who have expertise in those fields, and who share their passion and curiosity. For more than 100 years Illinois Wesleyan has had a strong Greek Life system, and that tradition continues to this day. One in three Illinois Wesleyan students are members of the 13 socialfraternities and sororities on campus, and each Greek organization has its own chapter house where its members live. Our Titan athletic teams – nine men’s and nine women’s – have won 113 conference titles, had 111 athletes named Academic All-Americans, placed 16 teams in the top ten of NCAA Division III and won three NCAA Division III Championships. 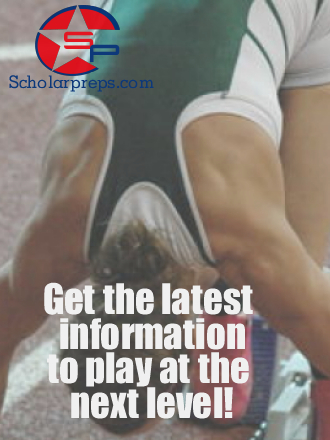 As a participating student-athlete or a fan, you’ll easily develop a strong sense of Titan Pride. When you come to Illinois Wesleyan, you’ll find that you get not just one but two great college towns in the twin cities of Bloomington-Normal. 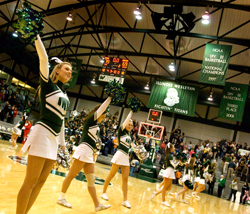 With the variety of activities provided by both Illinois Wesleyan and a large state university just down the road; two downtown areas full of restaurants, shopping and nightlife; and, concerts and professional sporting events at nearby U.S. Cellular Coliseum, there’s an awful lot to do in your free time. The $15 million Shirk Center, opened in 1994, was funded in part by a $5 million gift from the Russell and Betty Shirk Foundation of Bloomington. The Shirk family owns Beer Nuts, Inc.®, the Bloomington-based snack food company. The two-level, 135,344-square foot complex seats 2,680 for sporting events (3,450 for commencement) in its performance arena, and contains four multi-use courts for tennis, volleyball, basketball, and other sports, as well as racquetball courts, a 200-meter track, a training room and wellness center, classrooms, and other facilities. The Illinois Wesleyan men’s basketball team won a school-record 46 straight home games prior to losing to Benedictine, 73-70, on Dec. 9, 1998. The only prior loss was on March 11, 1995, to Manchester (89-82) in the NCAA Division III tournament. 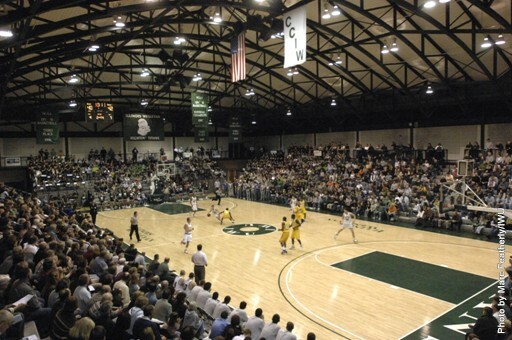 The Titans won their first 14 home games in 1994-95 at the Shirk Center, giving IWU a 23-game home court win streak, including nine at Fred Young Fieldhouse. From 1962-94, IWU men’s basketball was 311-80 at Fred Young Fieldhouse, named for 1915 IWU alumnus Fred Young, a Titan athletic great and long-time sports editor/columnist for The Daily Pantagraph. The first game in the building was March 2, 1962, an 85-59 conference championship-clinching win over Lake Forest. The final game was Feb. 22, 1994, a 91-80 conference championship-clinching win over North Park. The longest winning streaks at Fred Young Fieldhouse were 31 games (1975 to 1978), 20 games (1986 to 1988), and 17 games (1962 to 1965). The Fitness Center includes three racquetball courts, a weight/exercise room with cardiovascular and exercise equipment, and free weights. Athletic support areas include locker rooms; training room for men and women; equipment, storage, and laundry areas; offices; classrooms; a concession stand area; and a display area for athletic trophies and other memorabilia chronicling Illinois Wesleyan’s rich sports history. 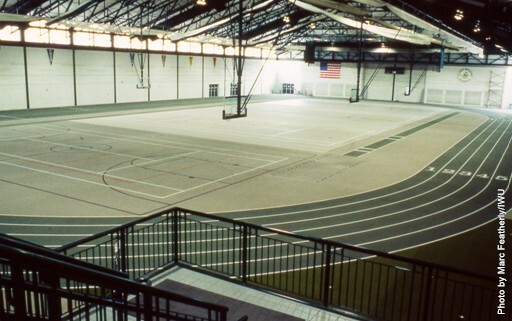 The Shirk Athletic Center Practice Gym features a 200-meter, six-lane indoor track plus full indoor track-and-field facilities, two baseball/softball batting cages, and four multiuse courts for tennis, recreational basketball, volleyball, and badminton, as well as space to practice golf. It also houses facilities for baseball/softball infield practice. The $3 million Fort Natatorium was opened in February 1988, named in honor of Illinois Wesleyan University benefactors and alumni James Madison Fort and his children, Arthur C. Fort and Clara E. Fort. In 1866, James Fort attended IWU’s preparatory school and developed a life-long love for his alma mater. Judge Arthur C. Fort was a member of the class of 1897 while Clara Fort was a member of the class of 1903. In addition to an L-shaped, eight-lane, 25-yard swimming pool, the Natatorium provides indirect lighting, an above- and below-surface sound system, dehumidified air and Tarn Pure (non chlorine) purified water. Other features include ceramic tile, waveless gutters, full Colorado IV timing system with an 11-line scoreboard, wall mounted surgical tubing for dryland training, in-deck water polo goals, a wet classroom with audio-visual equipment, and seating for 250 spectators. Illinois Wesleyan Stadium, built on the site of Wilder Field on the north edge of campus, has been used for University athletic contests for over 100 years. Since the spring of 1893, Wilder Field has been available for use by students, who had contributed $500 toward its purchase price at that time. The field was named for Rev. William Henry Wilder, Illinois Wesleyan’s president from 1888-97 and the first IWU alumnus to serve as president of the University. According to research done in May 2000 by sports information director B.B. 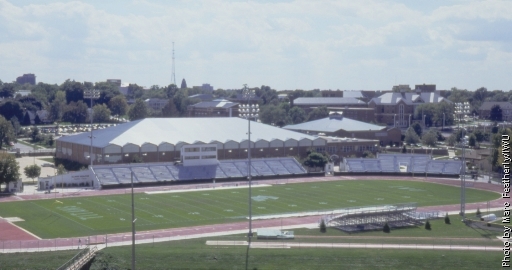 Branton of the University of the South, the IWU football field is the fifth oldest in the nation, behind Williams [Mass.] (1875), Wesleyan [Conn.] (1881), Sewanee [Tenn.] and Amherst [Mass.] (1891). In 1937 ground was broken for a community stadium on Wilder Field under the sponsorship of IWU, the Bloomington Association of Commerce, and several city athletic associations. Funds for the project were obtained through the Works Progress Administration, a New Deal agency, and, given the depressed economic times in America, construction of the stadium was considered unprecedented. It took four years for completion of the $200,000 project, which seats 3,500 spectators. Renovation completed in 2000 has made significant improvements to the field and stadium. The renovation provided the football field with new sod and drainage tiles, a new watering system, a new crown, and moved the field 10 yards to the east to avoid the curve of the new track. A small visitors locker room was built under the stadium bleachers, where the Titans use the original locker room space underneath the stadium for its pre-game meetings, and there is a “Titan Wall”, which is signed by former IWU football players. The 2000 renovation also returned lights to the football and track venue. Day games only have been played at the Stadium since 1973, when the original lights were removed, but a night game will be played in 2002. The renovation has also made the stadium handicap accessible for fans and has doubled the size of the press box. Illinois Wesleyan’s lighted softball field was inaugurated on April 14, 2000, when the Titans hosted North Park. With bleacher seating for more than 250, the field features home and visiting dugouts and a quick-drying infield. IWU hosted the 2002 NCAA Division III Regional Tournament on the field in May 2002. IWU’s baseball field, dedicated in 1999, is named in honor of Jack Horenberger (a 1936 Illinois Wesleyan graduate), who served on the IWU faculty for 38 years, coaching baseball from 1942-81 and basketball from 1945-65. Construction of the ballpark was the first step in a master plan aimed at upgrading IWU’s outdoor athletic facilities in the late 1990s. Among Horenberger Field’s features are a tiered grandstand with seating for over 350 (including predominantly chair-back seating), lighting, home and visiting team dugouts, a batting cage and picnic area. IWU’s men’s and women’s soccer teams make their home at the lighted Neis (pronounced “nice”) Soccer Field. The first games at Neis Field were played in August 2000. Tom and Marilyn Neis of McHenry, Ill, are 1970 and 1971 graduates of IWU, respectively, and their daughter, Melissa, is a 2002 IWU graduate with a degree in art. Another daughter, Elizabeth, played soccer at Millikin and Tom’s grandmother, the late Jeanette Neis, was a 1927 Illinois Wesleyan alumna. The Beadles/Morse Tennis Courts offer over eight different courts for Illinois Wesleyan University students, faculty, and staff to play for leisure, intramural, or competition play. Conveniently located adjacent to the Shirk Center, one can find the courts being utilized often when the weather is nice. Lighting for the courts also allows for practice or play after the sun has set.